Sonesta ES Suites Orlando is a luxurious all-suites hotel conveniently located within easy access to the major Orlando theme parks, shops and restaurants. Situated in International Drive, the hotel is an ideal option for travellers planning a trip to Walt Disney World and Universal Studios Orlando. Sonesta ES Suites is a perfect accommodation option for families and business travellers, offering comfortable facilities, warm hospitality and well-furnished, spacious suites with fully equipped kitchens. 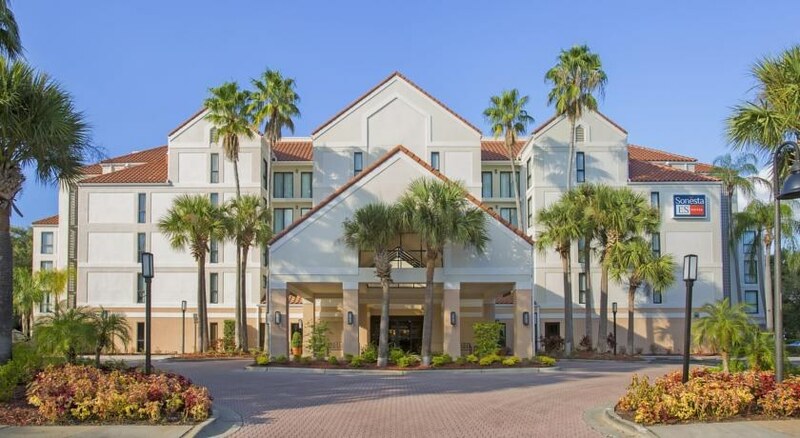 With amenities like free daily hot breakfast, fitness centre, Wi-Fi, heated pool, Jacuzzi, landscaped gardens, on-site parking and shuttle service to the theme parks, the hotel make your stay in Orlando a comfortable one, whether you’re travelling with family or for business purposes. 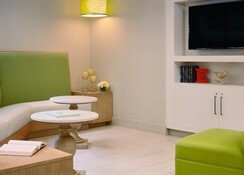 Sonesta ES Suites is located close to the Orlando Eye on the International Drive. 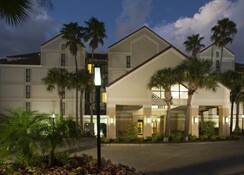 It is just 3.2 km away from the Universal Resorts Orlando and 2.2 km from Orange County Convention Center. The Walt Disney World is 12 minutes by car and shops and restaurants are a few minutes’ walk away. 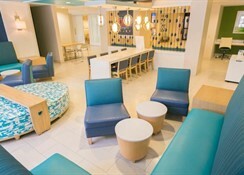 the hotel is well-connected with various transportation options, including the I-Ride Trolley that offers ride to Sea World, Aquatica and Orlando Premium Outlets. It also provides shuttle service to Walt Disney World and Universal Studios Orlando. All 146 super-sized, non-smoking suites in Sonesta ES Suites Orlando include a fully equipped kitchen and a sofa bed in the seating area. The suites are categorised into one-bedroom suites that can sleep four, two-bedroom suites accommodating six and trio two bedroom suites that are fit for eight guests. 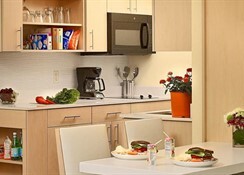 Free daily hot breakfast, en-suite bathrooms, king bed, queen sleeper sofa, satellite TV, Wi-Fi, housekeeping, coffee maker, cook-top stove, microwave, dishwasher and refrigerator are among other room amenities. 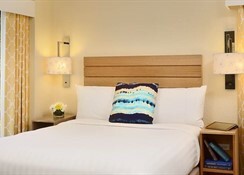 The hotel has arrangements for guests looking for a long-term stay. A complimentary buffet breakfast is available daily at Sonesta ES restaurant which includes eggs, muffins, breads, English muffins, fresh fruit, cereals, oatmeal, yoghurt, coffee, tea, and juice. 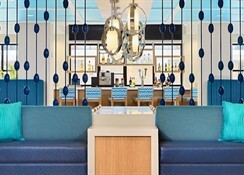 For drinks, guests can head to the lobby lounge where alcoholic and non-alcoholic drinks are served. Sonesta ES Suites Orlando has a large outdoor pool with heating that is equipped with whirlpool and sun deck for the relaxation of guests. It also offers shuttle and ticketing services to all major theme parks in the vicinity and has packages that offer credit towards theme park tickets. There are huge grounds to stroll around and there is a 24-hour fitness centre with Jacuzzi. Children can have fun at the video game room. A resort fee of $11 per room per night will be added to the final bill for use of the hotel's guest shuttle to Walt Disney World and Universal Orlando, self-parking and enhanced wireless internet.